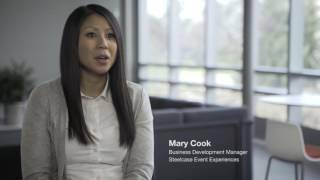 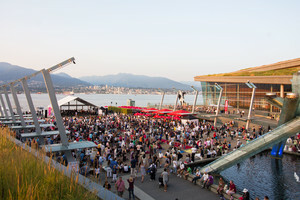 The Vancouver Convention Centre partnered with Steelcase Event Experiences to reimagine the convention experience with thoughtfully-designed spaces that encourage interaction and engagement. 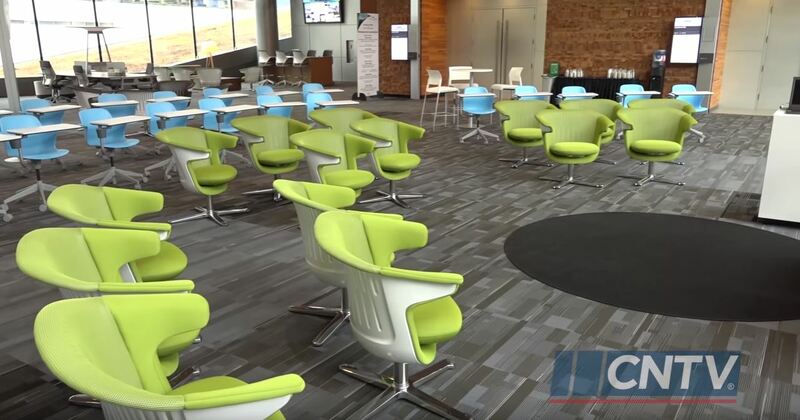 People coming together with a shared purpose in a place that supports their physical, cognitive and emotional needs in a way that fuels engagement and improves their overall performance. 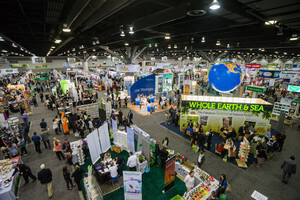 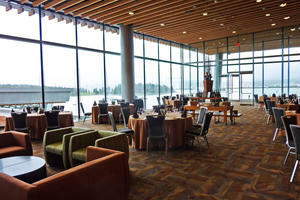 In what is a typical pre-function area at the award-winning Vancouver Convention Centre, delegates will now find creative spaces for networking or conducting business while onsite attending an event. 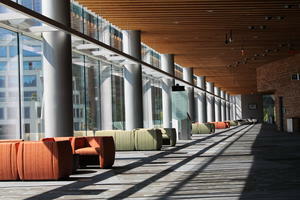 Fully-connected work stations, causal café-style booths and a private boardroom are all set in areas with permeating natural light and outside views. 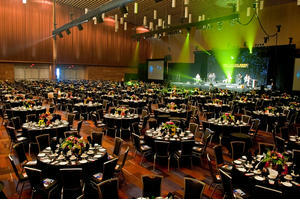 In addition to the creative work spaces, area dividers are prominent and ideal for sponsorship and branding opportunities that meeting planners can utilize for securing financial support.